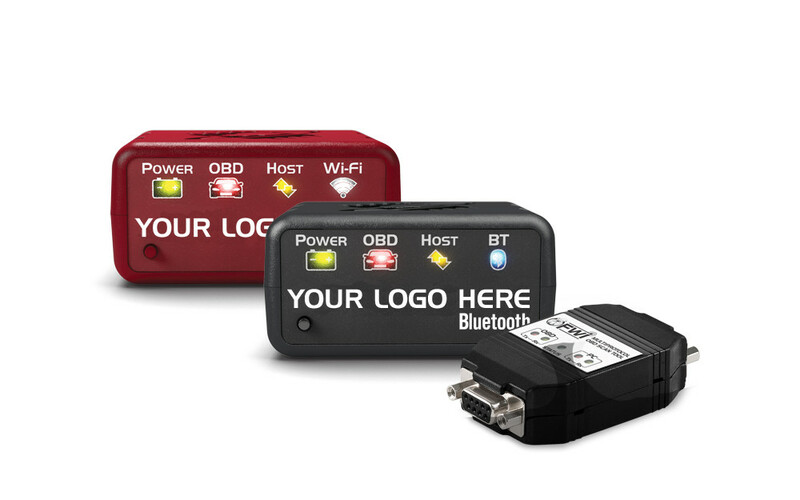 OBD Solutions offers a full spectrum of custom OBD adapters and options, from rebranding to new product design. Device overlay/label. We can use the artwork you provide, or have our graphic design department design one based on your logo and specifications. Installation CD. Both the CD artwork and the software contents are customizable. We offer professional in-house CD print & burn services with no minimum order quantity. Firmware branding. The interface will be programmed to respond with this string (typically, your company name) when queried by the software, providing a means of locking the software to only work with the hardware provided by your company. Documentation. Off-the-shelf user manuals can be customized to your requirements, or replaced with the documentation you provide. Our in-house printing capabilities include a variety of paper stocks, full color digital printing, no minimum quantities, and one-day turnaround. Package contents. We can include, exclude, or replace items from the standard package contents. Packaging. From blister packs to carrying cases, we can do it all. Firmware customization is a great option when your project calls for a manufacturer specific protocol or special functionality not available in an off-the-shelf interface that do not require change to the hardware. Note that sometimes functionality that appears to require a hardware modification, can be successfully emulated in firmware using only existing hardware, resulting in substantial time and cost savings. “Green wire” changes are best suited for prototypes and “pilots”: projects that require a small number of units with a quick turnaround. This method involves adding components and “green wires” to existing boards. Customized PCB layout is ideal for small to medium production runs, when the changes are relatively small and do not require changing the form factor of the PCB. This approach allows the use of off-the-shelf enclosures. Custom PCB & customized enclosure. This combination allows for custom LED configuration, provisions for wideband oxygen sensors, external outputs, etc — without incurring the design and tooling NREs associated with completely custom enclosures. Customized enclosures are available in a variety of sizes, form factors, materials, and colors. Maximum Flexibility. We understand that changing requirements are a fact of life, therefore we welcome them — even late in the project. Built-In Quality. Testing and validation is an integral part of development. At the end of each iteration, you get a working product. Transparency and Control. While we value good documentation, a working product is the best measure of progress. Early Return on Investment. We work on the highest priority items (as identified by you), first. This means that you can start realizing the benefits early on in the project, as soon as enough features are completed to make the product useful. For example, you can do a pilot or even an early rollout while the team works on completing the lower priority features. Reduced Risk and Lower Cost. A working product at the end of each iteration means that the risk and magnitude of failure is greatly reduced. At the same time, you (and not some arbitrary deadline) get to decide when the project is “done” (enough features have been implemented), thereby maximizing the cost/benefit ratio. All of our turn-key projects are built at ISO 9001 certified facilities. 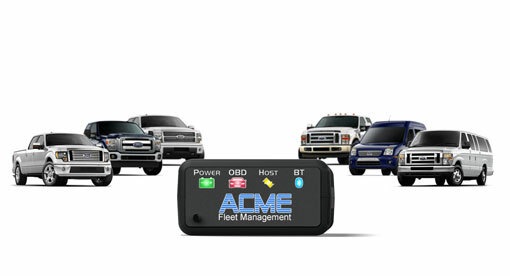 Device-level integration — we help you connect an off-the-shelf OBD interface to your device, and provide programming support to your software developers. This approach offers the benefits of short lead times and low cost for setups where the host device has an available external port (USB or RS-232). Module integration, perfect for new projects with low to medium volumes. The small self-contained module can fit in a socket for ease of installation and maintenance, or soldered to the host board. Board-level integration, the lowest cost option for high volume projects. We provide the reference schematics, bill of materials, and work closely with your engineers on interfacing OBD with the rest of your circuit.